San Donato in Poggio dates back to the Romans... a military "castrum" defending the military via Cassia which, on the way from Siena, passes over the hills and crosses the Pesa valley. 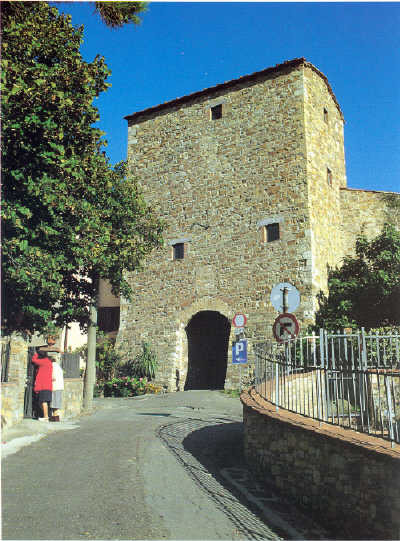 In the 4th century the garrison, which was composed of Christian soldiers from Arezzo, gave the fortress the name "San Donato" in memory of their bishop. 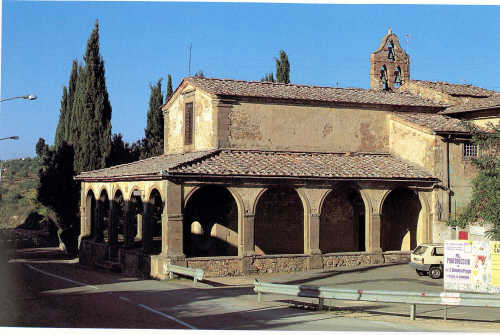 Round about 1000 A.D. the Romanic church, with three naves and three apses, was built outside the castle walls. It is referred to in three documents in the state archives; One dated 985 A.A., One 986 A.D. and One 988 A.D. Inside the church there are numerous art treasures such as the decorated front by Giovanni della Robbia in glazed terracotta describing the lire of John the Baptist, a crucifix of the school of Giotto attributed to Taddeo Gaddi, two altar pieces by Giovanni del Biondo, another by Bicci di Lorenzo, two paintings from the school of Giotto and a 15th century Florentine chalice. 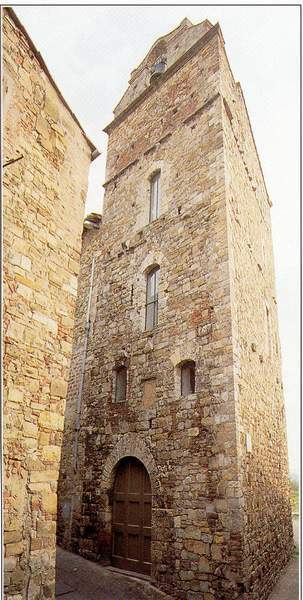 Only part of the citadel remains today, parts of the walls, the two gates, Porta Fiorentina and Porta Senese, and some towers, such as the bell tower, known as the "Campanone" or Big Bell, and "Il Torrino" or Little Tower, which dominate the valley. It has however, maintained its originaI structure intact with the typical streets winding round the houses. Inside the citadel there is the suggestive Piazza Malaspina flanked by the Palazzo of the same name, and in the centre of the piazza an octagonal well beneath which lies a cistern embracing the whole area of the piazza: in the past this cistem constituted the town's one and only water reserve. Opposite Palazzo Malaspina is Palazzo Pretorio which houses the only work of art bearing witness to past glory, a 14th century fresco representing the Madonna and Child among the Saints. leaving for the Battle of Montaperti (1260). 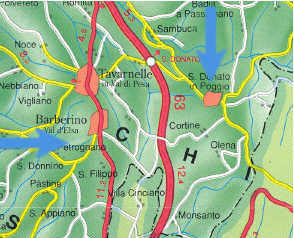 From Barberino go to Tavarnelle Val di Pesa and Follow the signalization to San Donato in Poggio. 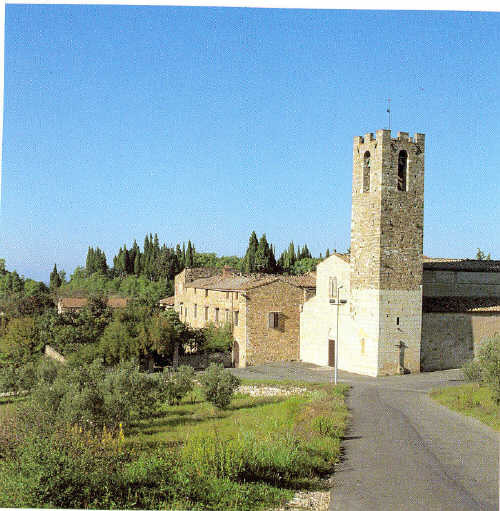 From San Donato you can continue your tour to visit Castellina in Chianti, then Radda in Chianti and Gaiole in Chianti.